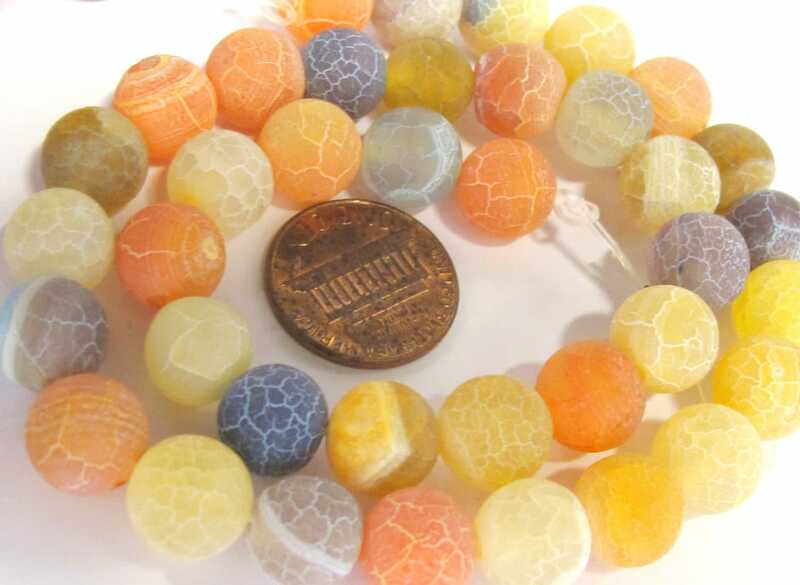 Beautiful tones of orange yellow grey blue - round agate beads. 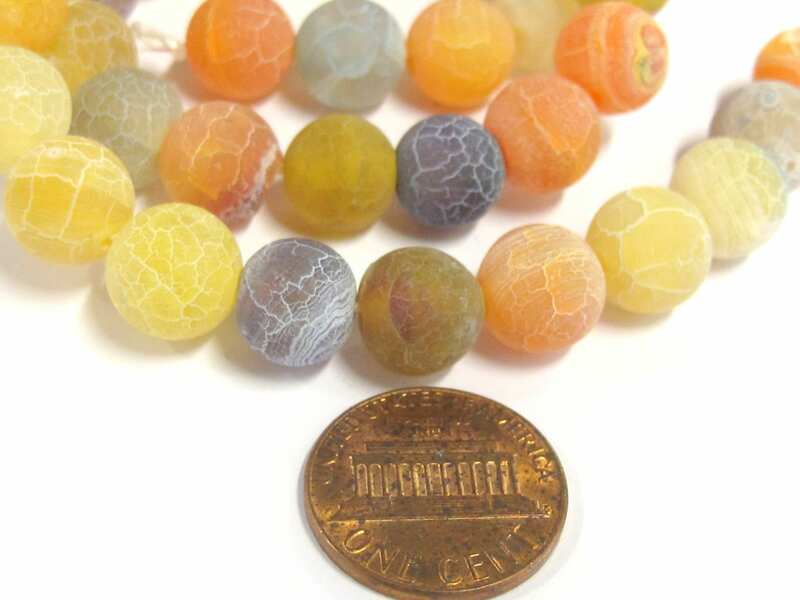 Since these are gemstone beads - streaks/tones/color will vary from one bead to the other. Each strand bead will vary slightly from the other.